Windows 10 comes with native support for zip files. 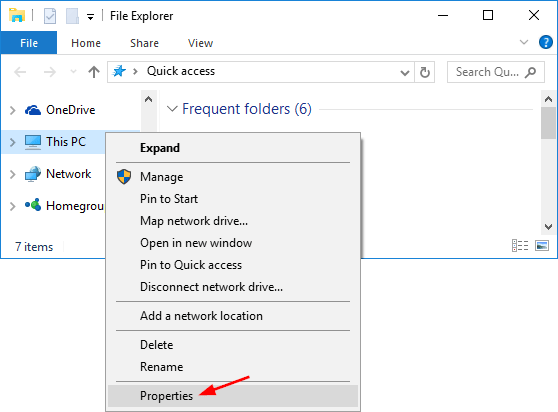 In File Explorer, select and right-click on the folders or files you want to zip, select “Send To” -> “Compressed (zipped) folder” from the context menu. This will compress your selected folders/files into a single .zip file. However, the “Compressed (zipped) folder” might be missing from the right-click context menu. 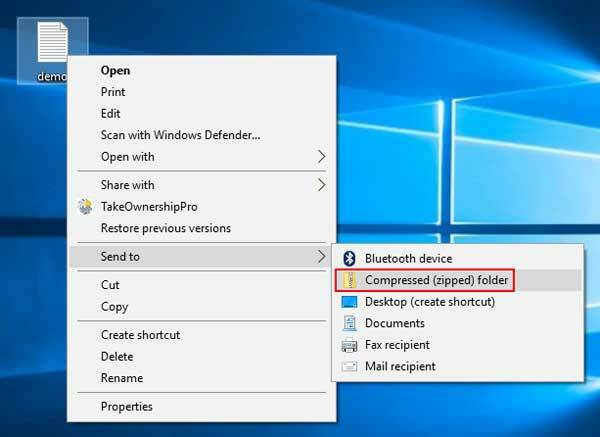 In this tutorial we’ll show you how to restore the missing “Compressed (zipped) folder” option from the Send To menu in Windows 10. 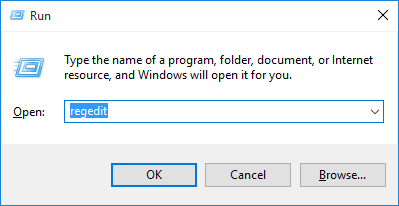 There is a copy of this shortcut in the default user profile in Windows 10. You can just copy it from the default user profile back to your personal profile and you are done. Here is how. 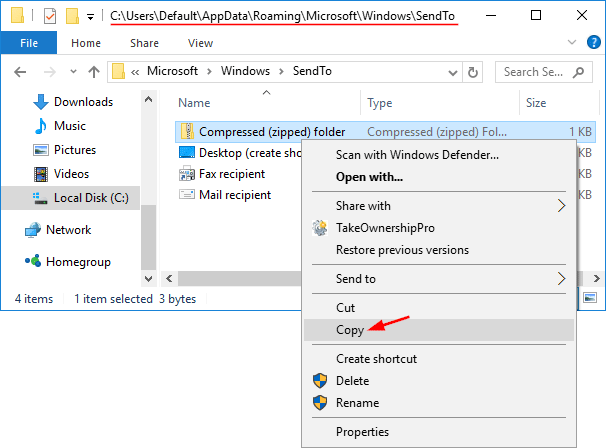 Right-click the Compressed (zipped) folder shortcut and select Copy from the context menu. Now, type the following path in File Explorer’s address bar. This will open the Send To folder of your current user profile. Paste the shortcut you previously copied there. If the above method is still not working, it’s possible that the .ZFSendToTarget file association is corrupt. Normally, the “Compressed (zipped) folder” shortcut is shown with a zip icon. If its association settings are corrupt, it might show with a generic icon and display ZFSendToTarget in the Type column. Press Win + R and type regedit and press Enter. 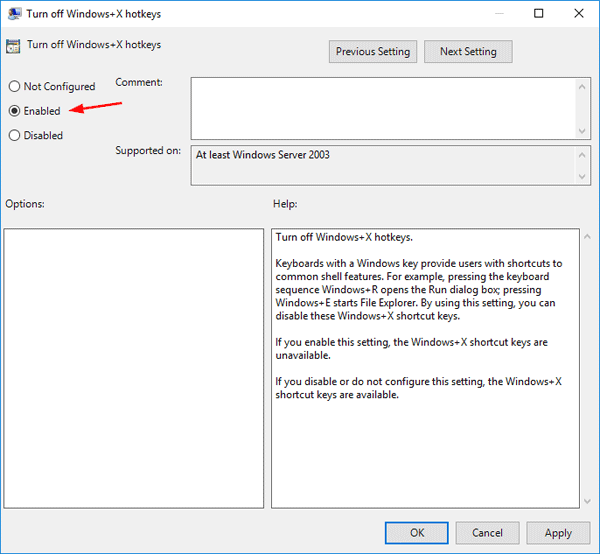 Right-click on .zfsendtotarget key in the left pane and select Delete. Next open an elevated Command Prompt. 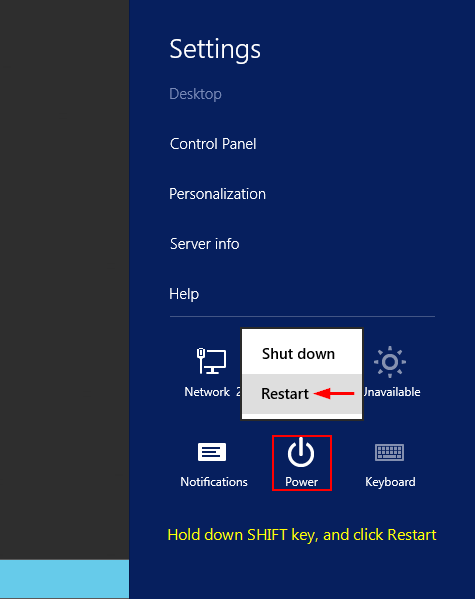 This can be done by pressing Win + X and select “Command Prompt (Admin)” from the Power User Menu. Reboot your computer and the “Compressed (zipped) folder” shortcut should now appear in the Send to menu. 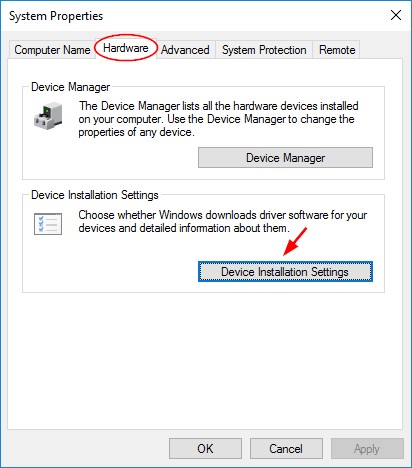 While plugging in a new device, Windows 10 automatically downloads and installs the device driver via Windows Update. Every time Windows 10 checks for OS updates, it will also update the device drivers. 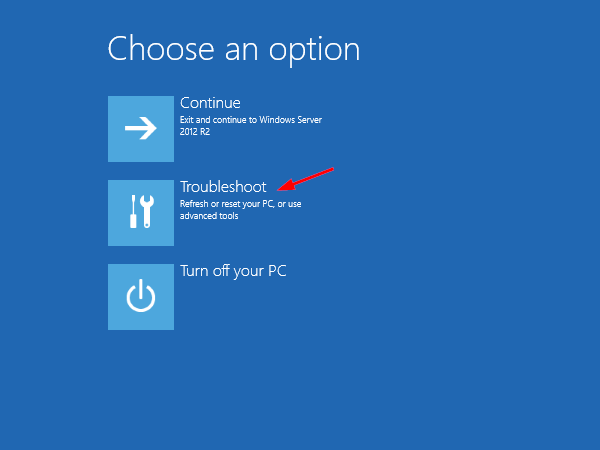 However, some drivers from Microsoft may not be fully compatible with the device driver you have installed and it might result in system instability. In this tutorial we’ll show you 3 different ways to stop automatic driver updates in Windows 10. Note that the Local Group Policy Editor is not available to Windows 10 Home users. 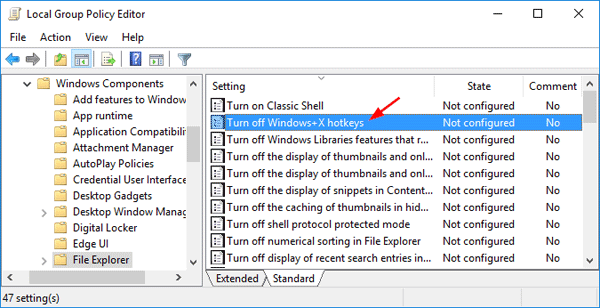 Open a File Explorer window. Right-click This PC from the navigation pane and choose Properties. Click the Advanced system settings link located on the left hand side of the screen. 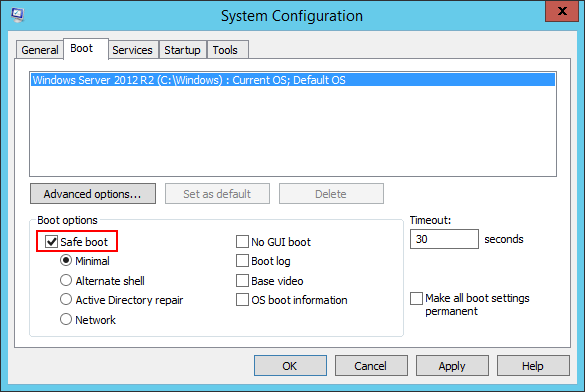 When the System Properties window opens, select the Hardware tab, and click the Device Installation Settings button. You will be asked whether you want to automatically download manufacturers’ apps and custom icons available for your devices. Select No and click Save Changes. This should stop Windows from automatically downloading and installing device drivers from Windows Update. 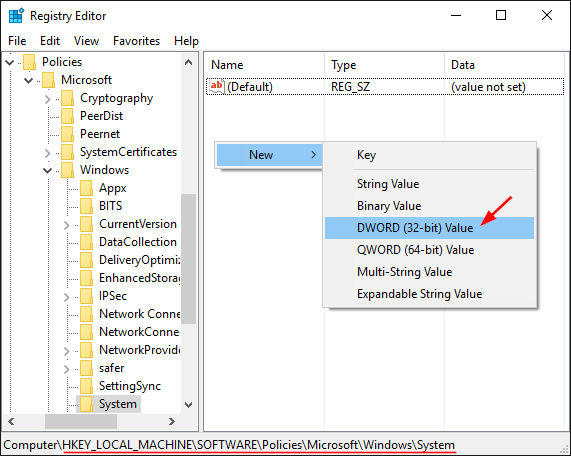 Press Windows key + R, enter gpedit.msc, and hit Enter to open Local Group Policy Editor. 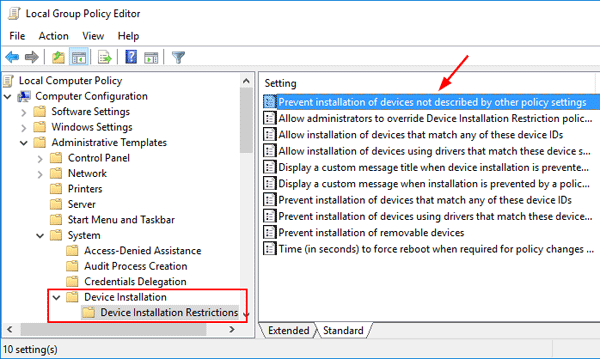 Navigate to Computer Configuration –> Administrative Templates –> System –> Device Installation –> Device Installation Restrictions. 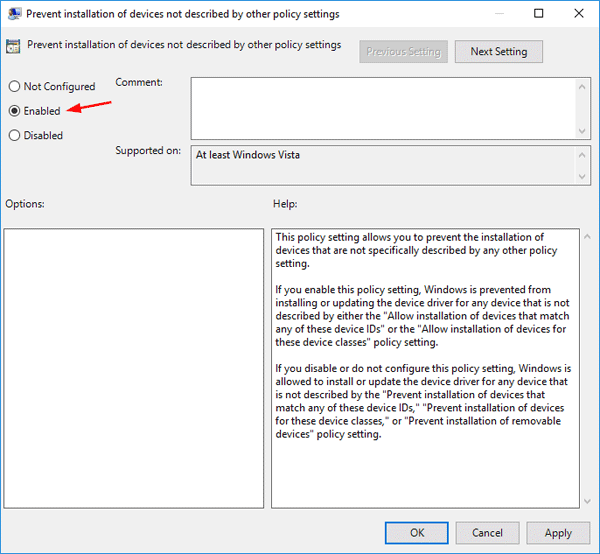 In the right hand pane, find the “Prevent installation of devices not described by other policy settings” policy and double-click on it to modify. To turn off automatic driver updates, select Enabled and click OK. This will disable all driver updates. 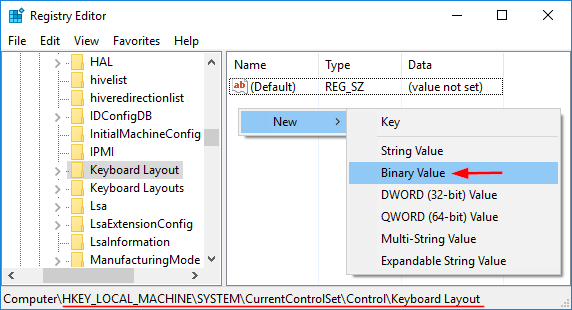 Press Windows key + R to launch the Run dialog, enter regedit, and hit Enter to open Registry Editor. Navigate to HKEY_LOCAL_MACHINE\SOFTWARE\Microsoft\Windows\CurrentVersion\DriverSearching. 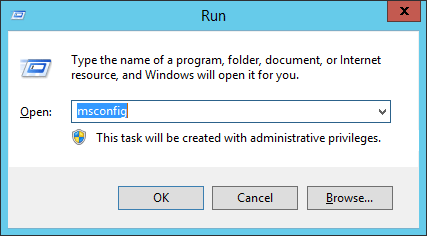 Double-click on the SearchOrderConfig entry on the right pane. 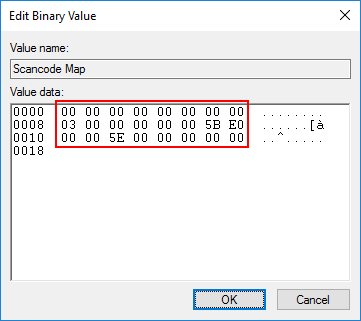 Set the value data to 0 and it will turn off automatic driver updates. A value of 1 allows downloads of driver updates. Click OK and reboot your computer for the changes to take effect. Task Manager is probably disabled by an administrator or a virus or spyware. 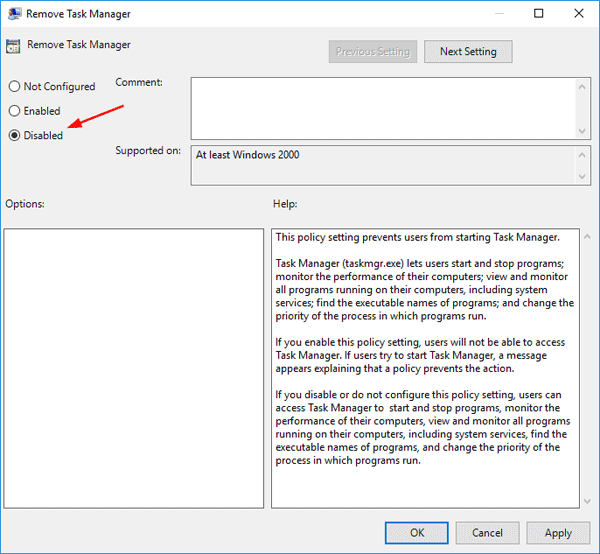 In this tutorial we’ll show you how to fix “Task Manager is disabled or greyed out” in Windows 10, by using Group Policy, Registry Editor or Command Prompt. Either way, you need to log in as administrator before following the steps. Press Win+R to open Run box, and type gpedit.msc command to start the Local Group Policy Editor. 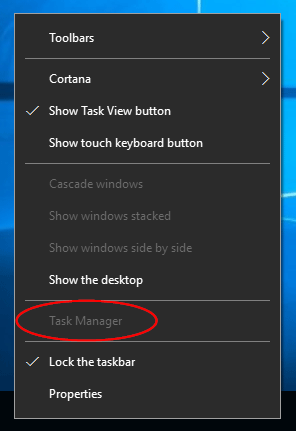 Since you’re facing the issue that Task Manager has been disabled by administrator, you’ll see that the “Remove Task Manager” policy in the right pane is enabled. Double-click on it to modify. 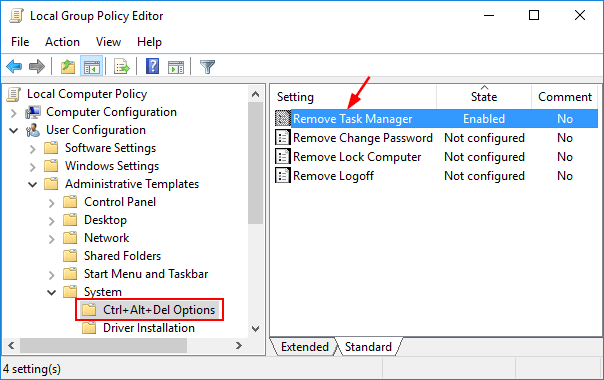 To enable Task Manager, you should set this policy to Not Configured or Disabled. Click Apply followed by OK. Reboot and your problem should be fixed now! Press Win+R to open Run box, and type regedit command to start the Registry Editor. Go ahead and reboot your computer for the changes to take effect. 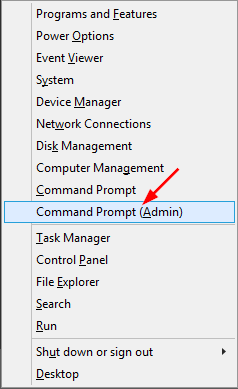 Press Win+X shortcut keys on the keyboard and select “Command Prompt (Admin)” from the Power User Menu. 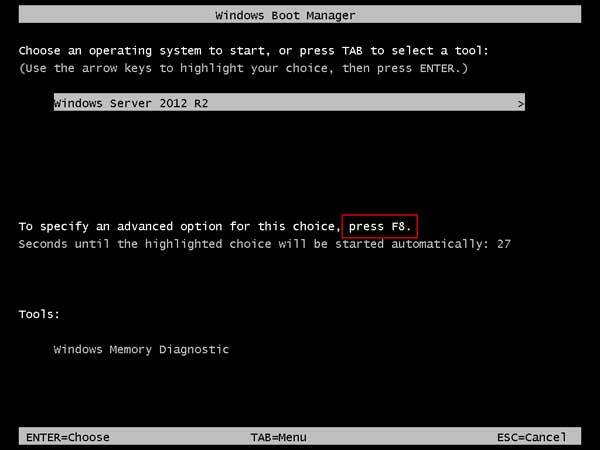 At the Command Prompt, type the following command and press Enter. This will enable the Task Manager. Note: If you receive the “access denied” error, it’s likely that you’re running Command Prompt in non-Administrator mode. 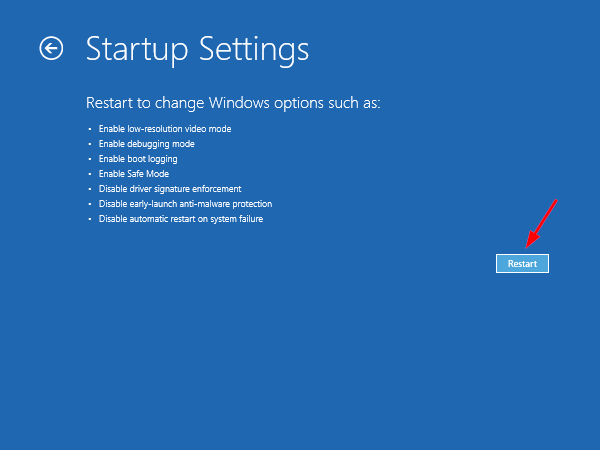 Rather than seeing a background image at the login screen, you can choose to disable the login screen background and see a single, flat-color background — just as Windows 8 used. 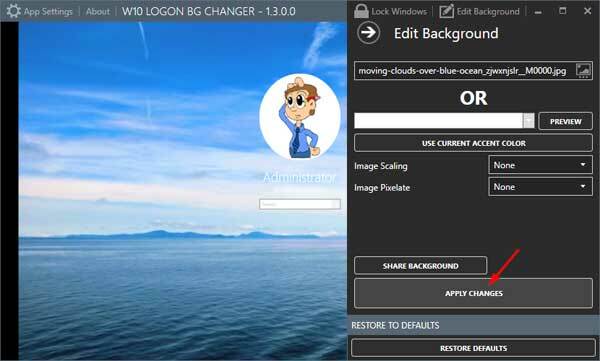 Here is a simple registry tweak to turn off background image and change Windows 10 login screen to a custom solid color background. 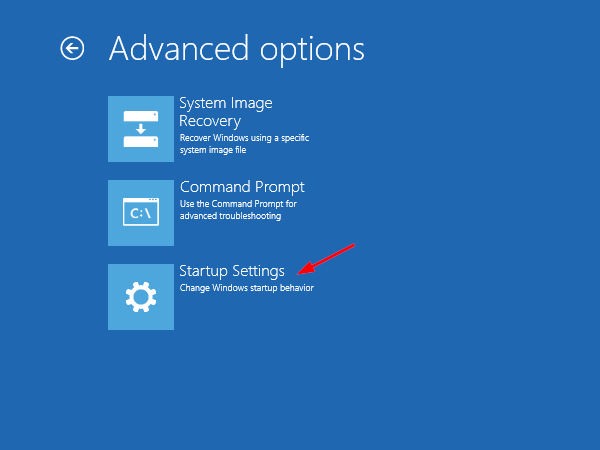 How to Change Windows 10 Login Background to Solid Color? 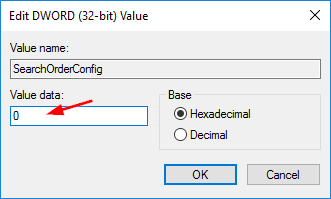 Right-click anywhere in the right pane and select New -> DWORD (32-bit) Value. Name the newly create value DisableLogonBackgroundImage. Double-click on it and set its value to 1. Now you’ve successfully disabled the login screen background image. To set a flat color as your login screen background, press the Windows key + I to open the Settings app. Next go to Personalization -> Colors. 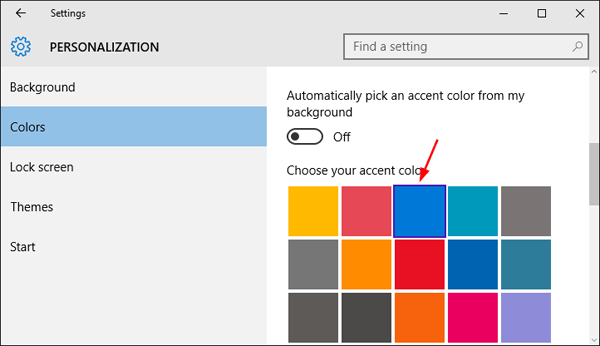 Disable the “Automatically pick an accent color from my background” option and pick a new accent color that will be used as your login screen background color. Every time you start Windows 10, you’ll be greeted with a lock screen. Once you click or swipe away the lock screen, you’ll get to the login screen where you have to select a user and enter password before accessing the desktop. It’s very easy to change the lock screen background, but Microsoft doesn’t provide an official setting to change the login screen background with a custom image in Windows 10. To change the background image for Windows 10 login screen, we need to use some sort of third-party script or utility. The best tool we found is Windows 10 Login Screen Background Changer, which is an open source freeware you can download via GitHub. How to Change Background Image for Windows 10 Login Screen? Download the latest version of Windows 10 Login Screen Background Changer from GitHub website. The downloaded file is a self-extracting zip archive. Extract the contents to an easily accessible location, such as the desktop. Locate the GUI folder from the extracted archive and double-click on W10 Logon BG Changer.exe file to launch the tool. Click Yes button when you see the ELUA prompt to use the tool at your own risk. Under Edit Background, click on the image icon to browse and select a custom picture that you want to set as login screen background. Log out and log in, or press the Windows key + L, you’ll see that your custom image is displayed as your Windows 10 login screen background. Lost your iPhone notes due to accidental deletion? 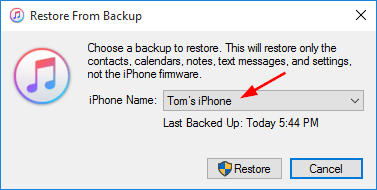 How can I restore SMS messages from a backup previously made by iTunes? Or you need to restore iTunes backup to a new iPhone? In this tutorial we’ll walk you through the steps of restoring iPhone from encrypted iTunes backup. 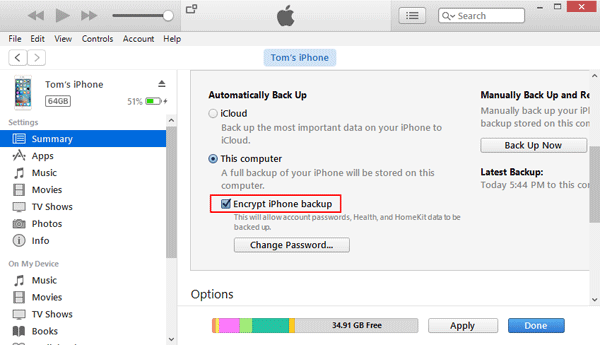 How to Restore iPhone from Encrypted iTunes Backup? Connect your iPhone to your computer and start iTunes. Wait until the little iPhone icon appears in the toolbar of iTunes. Click the iPhone icon and it will take you to the Summary page. Under the Backups section, click the “Restore Backup…” button. If you recently synced your iPhone with iTunes or performed an iPhone backup via iTunes, you will have several backup entries to choose from. Select the latest backup entry appearing under the most recent date and click Restore. You’ll be prompted to enter the iTunes backup password. You are not be able to restore the encrypted backup to any device without the password. If you’ve forgotten it, you can crack the password with iTunesKey. Once your typed password is verified, iTunes will overwrite the iPhone contents and settings with the ones contained in the backup file. After the restore is complete, you’ll have your original iPhone data recovered. Lost your iPhone backup password? How to unlock your iPhone backup if you forgot the password? The encrypted local backup will be unusable and unreadable without that password. In this tutorial we’ll show you 2 ways to recover forgotten iPhone backup password on Windows 10, 8 or 7. 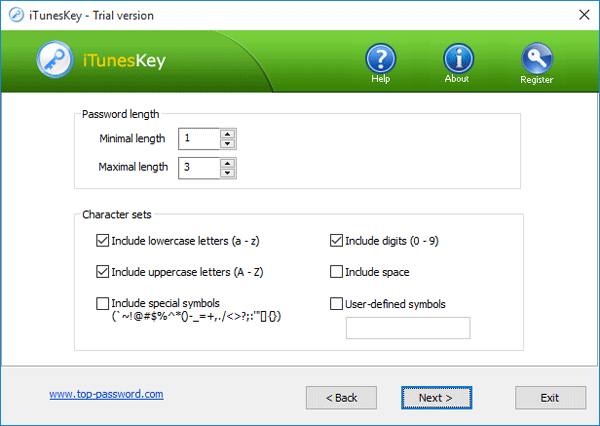 Try your iTunes Store password, which is most commonly the password to restore your backup. Try your 4 digit passcode for unlocking your iPhone device. Try the default password 0000 or 12345. If you are using a Mac, check if your iTunes backup password is stored in Keychain access. First, open Applications -> Utilities -> Keychain Access. Double-click on the entry for “iPhone backup” and click “Show password”. Try the Windows administrator password. If you have managed to attempt all the steps and nothing has worked, it seems like you will have to crack your iPhone backup password with third party password cracking software. Download and install iTunesKey on your local computer. After installing, launch iTunesKey and then click on the … button. When the File Open dialog opens, select the Manifest.plist file which is used by iTunes to store your iPhone backup password. 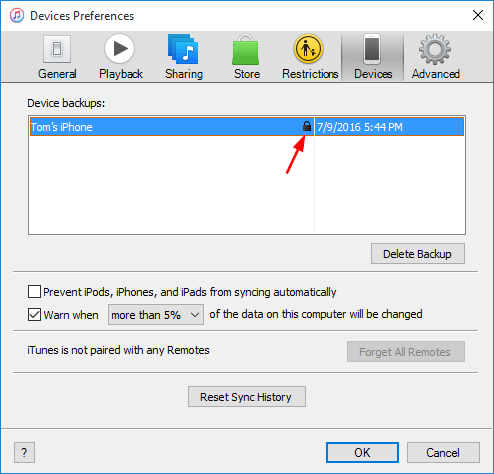 If you don’t know where the Manifest.plist is located, please check out this article: How to Find iPhone Backup Location in Windows and Mac. Choose one of the recovery modes: Brute-force attack, Mask attack and Dictionary attack, and then click Next. In my example, I used Brute-force attack. Customize the password length and the characters your password may contains. Click Next. Just wait for the program to try all possible combinations to guess your password. When the correct password is found, you’ll get a pop-up dialog box with your password shown on the screen. It’s a good practice to create a backup of your iPhone in iTunes in case you accidentally delete your iPhone data. One important problem with iTunes backup is that it’s not encrypted by default. If you create a local backup stored on a computer, your backup could be accessed by anyone who has physical access to your computer. To prevent data leakage or data loss, I would recommend you encrypt your iTunes backup with a password. 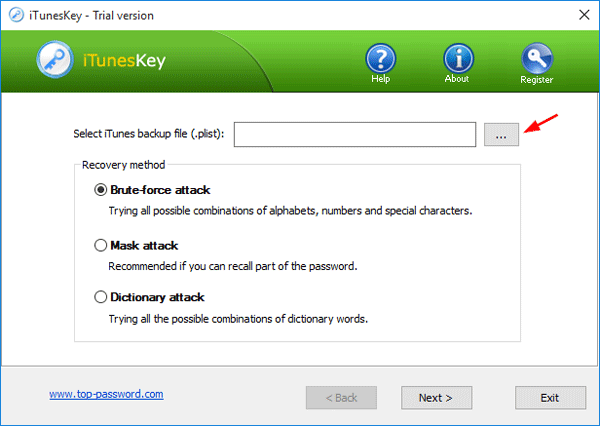 How to Encrypt Your iTunes Backup with Password? Connect your iPhone to a computer (or Mac) with iTunes installed. Launch iTunes and then click on the little iPhone icon in the upper toolbar. This takes you to the Summary page. Under the Summary page, you will see a section called Backups. Check This computer and also check Encrypt iPhone backup checkbox. You will be asked to create a password that will used to encrypt your iTunes backup. Make sure you set a good password you won’t forget. If you’re running Mac OS X, there is an additional option lets you save the password in Keychain access, and I don’t suggest you ticking that option. Once you clicked the Set Password button, iTunes will encrypt all your local backup immediately. When it’s done, you can verify that your backup is encrypted. 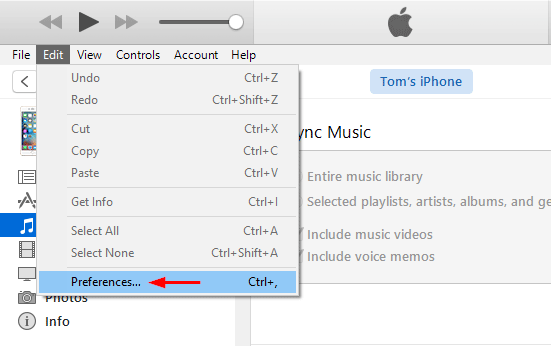 Within iTunes, click the Edit menu and select Preferences. Once the Preferences window opens, click the Devices tab. If you spot a tiny lock icon in the row of your latest backup, it indicates your iTunes backup is encrypted successfully. After encrypting your iTunes backup with a password, nobody can restore a device from the backup without knowing your password. The data in the backup is encrypted too, and no need to worry about data leak even when your computer is stolen.